Obama took some courses in political theory at Harvard. But the speech he gave upon receiving the Nobel Peace Prize -- an undeserved distinction that still arouses reactions ranging from amusement to indignation -- reveals that he did not learn the subject well and that his flawed interpretation of the doctrine of "Just War" merits an “F” in political theory. According to Ellen Meiksins Wood, one of the most learned specialists on the subject, this doctrine has always been characterized by a tremendous flexibility, allowing it to be adjusted to the needs of the ruling classes in their various ventures of conquest. While its original formulation goes back to St. Augustine and St. Thomas, it was the pen of the Spanish Dominican Francisco de Vitoria that produced a timely justification for the conquest of the Americas and the submission of its aboriginal populations. The Dutch jurist Hugo Grotius, in a similar fashion, applied the doctrine to the plundering practiced by the commercial companies created to carve up the new world. Looking for support from this tradition, Obama declared that a war is just "if it is waged as a last resort or in self-defense; if the force used is proportional; and if, whenever possible, civilians are spared from violence." In this way the original version of the doctrine undergoes a further redefinition to better respond to the needs of the empire and ends by camouflaging itself with the theory of "Infinite War", drawn up by the reactionary theoreticians of the "New American Century" and vigorously adopted by George W. Bush Jr. to justify his abuses from one end of the planet to another. Even after successive modifications, the imperialists did not believe that the “Just War” doctrine was sufficiently flexible to provide an ethical justification for their predations. One had to go further and the theory of "Infinite War" was the answer. Despite the changes that have progressively undermined its argument, the "Just War" doctrine required the fulfillment of certain conditions before waging a war: (a) it must be a just cause; (b) it must be declared by a competent authority, for a legitimate reason, and after exhausting all other means; (c) there must be a high probability of achieving the desired ends; and (d) the means should be proportionate to those ends. Over the centuries, the periodic "modernizations" introduced by the theorists of "Just War" relaxed these conditions to the point that they lost all practical significance. In his speech, Obama made a passionate defense of the war in Afghanistan -- supported, he said, by 42 other nations, including Norway -- while also declaring in a pompous exhibition of optimism that the war in Iraq was nearing its end. Apparently the endless succession of deaths, mostly innocent civilians, occurring daily in that country because of the U.S. presence is for this occupant of the White House a trifling matter that does not dampen the triumphalist declarations spewed out by the U.S. establishment and media for the purpose of manipulating public opinion in that country. But even apart from these considerations, it is evident that not even the very broad criteria outlined by Obama in his speech are adhered to by Washington in the case of its wars in Iraq and Afghanistan: 1) the military occupation was not a last resort, because almost all the international community insisted, and continues to insist today, on the possibility of finding a diplomatic, non-military solution to the conflict; 2) one cannot speak of self-defense when the enemy one must defend against -- "international terrorism" -- is defined in such a vague fashion that its precise identity and the nature of its threat are impossible to pinpoint; 3) the lack of proportion between the attacked and the attacker reaches astronomical dimensions, given that the strongest military power in the history of mankind shows no mercy against defenseless populations, impoverished and equipped with rudimentary war equipment; and, finally, 4) if there is anyone who has not been spared by the destructive fury of the U.S. armed forces, it is the civilian populations of Iraq and Afghanistan. To sum up, there was not and there is not a just cause for having unleashed these massacres, a point that is crucial to the traditional theory. Unless, of course, Obama still believes that there were weapons of mass destruction in Iraq (a perverse lie cooked up by Bush Jr., Cheney, Rumsfeld and company, with the complicity of the U.S. political leadership and the “free press” of the West), or that Osama bin Laden and Saddam Hussein -- mortal enemies -- shared an anti-imperialist political project, or that the Afghan people entrusted bin Laden to carry out the attacks on 9/11 and therefore deserve to be punished. There was no just cause for either of these U.S. military adventures -- as there was none previously in Vietnam, or Korea, or Grenada, or Panama, or the Dominican Republic -- and it is no mere coincidence that Obama avoided any mention of this traditional clause in his speech. 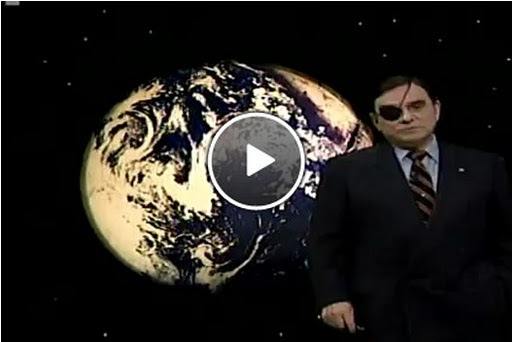 In his peculiar vision, which is the vision of the empire’s ruling circles, "Just War" becomes "Infinite War". In line with this doctrine, Obama also violates the traditional clause which states that to begin a war a nation must have a reasonable likelihood of achieving the agreed upon objective. And if there is something that recent history has shown over and over again, it is that terrorism will not disappear from the face of the earth as a result of waging a war against it. In his speech, Obama cited a passage from Martin Luther King -- "Violence never brings permanent peace. It solves no social problem: it merely creates new and more complicated ones." But, immediately afterward, he argued that as head of state, sworn to protect and defend his country, he cannot be guided only by the teachings of King or Mahatma Gandhi when faced with the threats that afflict the U.S. The paranoid and pathological-to-the-core line of the neoconservative ideologues reappears on the lips of this champion of U.S. liberalism: the ever-present threat to the well being and security of the American people, whether coming from Communists, populism, drug trafficking, Islamic fundamentalism or international terrorism. But these threats, more imaginary than real, are a necessary ingredient in justifying the unlimited and ceaseless expansion of military spending and the enormous profitability that this provides to the giant oligopolies that depend on the immense business of war. Without those threats, it would be impossible to justify the dominance of the military-industrial complex and the lavish subsidies it receives, year after year, from money paid by U.S. taxpayers. Nor would the unfettered, rampant militarization of U.S. have been possible, projected outwardly with an aggressive foreign policy and inwards with the overwhelming presence of repressive forces and intelligence agencies, a process propelled by the anti-terrorist legislation enacted by Bush Jr. that debased much of the existing political and civil liberties in the U.S. The end result of this indifference to the traditional clause requiring that military action have a high probability of achieving its initially specified goals is none other than the complete independence of the military enterprise. As Meiksins Wood points out clearly in her brilliant Empire of Capital, according to this new version of the theory, military response is justified even when there is no possibility of attaining any success. Or, worse yet, under these new conditions, imperialist military aggression no longer requires a specific goal or a clearly defined and identified enemy. War needs no clearly defined goals and becomes an end in itself, a goal which is unattainable and, therefore, endless. Far from being an exceptional situation, war becomes a permanent activity: an endless war against an unidentifiable enemy whose changing contours -- today a communist, tomorrow a populist, next "international terrorism", etc. -- are drawn up with absolute and perverse arbitrariness by the empire’s Ministry of Truth, whose mission is none other than to distort reality, manipulate public opinion, and “manufacture” the consensus needed by the ruling class, as pointed out by Noam Chomsky in his path-breaking analyses on this subject. It is not an exaggeration to say that George Orwell's worst predictions about the production of disinformation not only have come true but have been surpassed by the U.S. cultural apparatus. Thanks to this mechanism of ideological manipulation and control, the production and sales of this immense military-industrial complex are immunized against the vagaries of the economic cycle. Endless war is another way of saying unending and permanent profits. The acerbic comments of Bill Clinton's former Secretary of State, Madeleine Albright, sum up well the spirit and the assumptions underlying this latest downgrading of the traditional doctrine of “Just War”: “what’s the point of having such a formidable military if we can't use it.” That is what it is all about, the necessary use and periodic destruction of this imposing military machine so that the businesses of the military-industrial complex can prosper. With her flippant arrogance, Albright exposed what many ideologues of the empire so very carefully avoid saying. Obama's speech was disappointing. As much as the Nobel Peace Prize has been devalued -- remember that it was granted to a war criminal like Henry Kissinger -- the president of the United States should have at least been capable of developing an argument that, without resorting to an implausible pacifism, would have distanced him somewhat from the ideological tone set by Bush Jr. and his cronies. He did not. 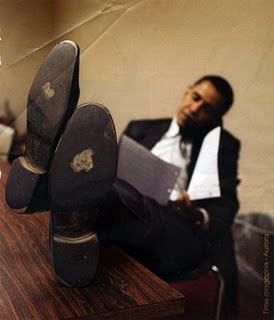 In fact, there is good reason to suspect that some of his speech writers are holdovers from his disastrous predecessor. Such continuity would not be surprising. Obama confirmed as his Secretary of Defense Robert Gates, who had been appointed by Bush Jr., and more recently proposed Philip Goldberg (who was expelled from Bolivia by President Evo Morales on September 10, 2008, for his blatant involvement in the separatist efforts of Santa Cruz governor, Ruben Costas) as Secretary of State for Intelligence and Research. The rosy hopes fueled by the irrational "Obama-mania" and nurtured by seraphic progressive souls today seem more illusory and absurd than ever. Atilio a. Boron is a guest author at Tlaxcala, the international network of translators for linguistic diversity, of which David Brookbank is a member. This translation may be reprinted as long as the content remains unaltered, and the source, author and translator are cited. 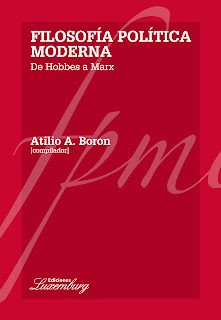 It is very interesting that Mr. Borón has mentioned Mr. Chomsky. 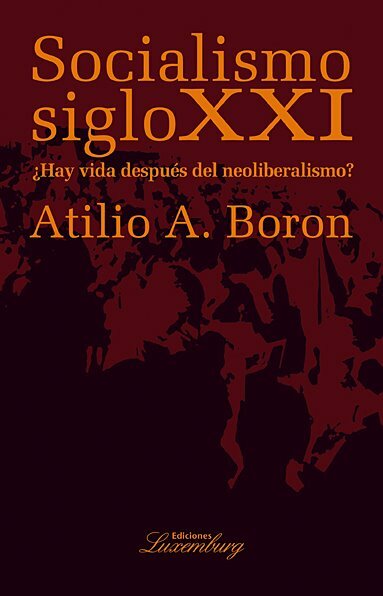 The american politologist and sociologist may say and write whatever he wants in his country, mostly against the political and economic system of the US Mr. Borón may do the same in Argentina. The american system allows that. The argentinian system allows it as well. May I ask if Cuba, China or North Corea allow the same possibility?